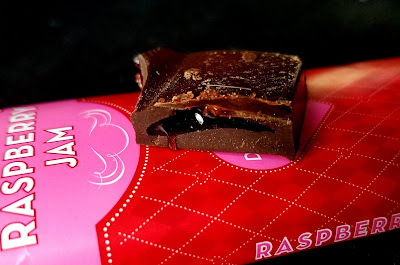 The raspberry jam filling is the real star of Hammond's heart-bedecked Raspberry Jam Dark Chocolate Bar. It's thin and flavorful, really tart and juicy with realistic raspberry flavor. The dark chocolate of the bar offsets it well, too. The only drawback is that in order to safely contain this sweet liquid filling, the dark chocolate shell has to remain quite solid and thick, creating perhaps not the best ratio of chocolate to filling. 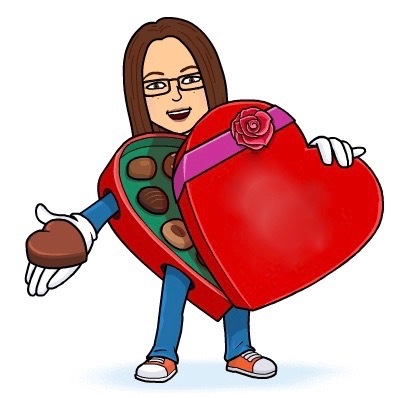 I want a thin layer of dark chocolate to be bursting with filling. In order to accomplish this, though, Hammond's might have to package the bar differently, within a sturdier housing. It would be worth it! 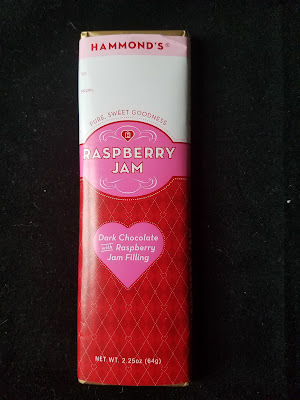 As soon as I saw dark chocolate/raspberry,I conjured up thoughts of a 5. Yummy!